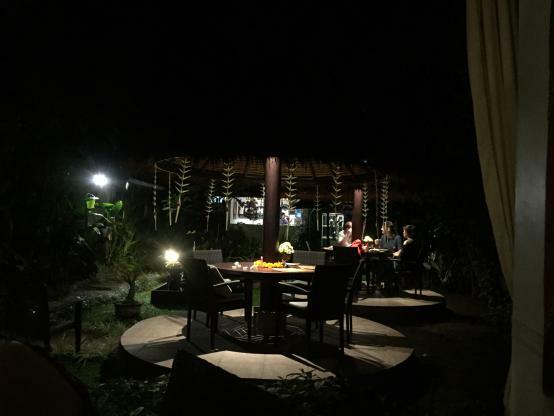 This restaurant is located in the centre of Lovina, in Kaliasem village. 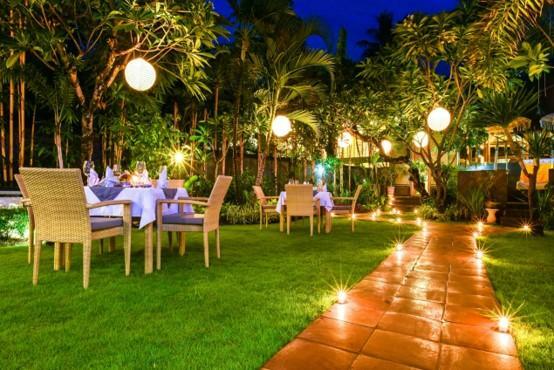 It is set in a beautiful Balinese garden. 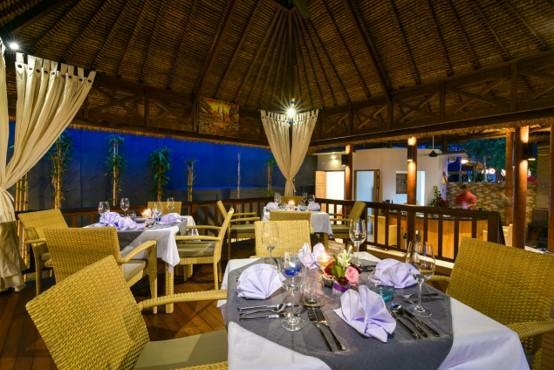 The restaurant offers Balinese food that you can share as well as western style dishes such as cordon bleu or steak. The owner Nyoman has a lot of experience as he has been in the restaurant and hospitality business for many years. The restaurant is not very big so it is recommended to make a reservation. Weather permitting you can sit in the garden itself or on one of the nice gazebos. I prefer to sit in the gazebo at the end of the garden near the kitchen. By the way, their kitchen is spotlessly clean. 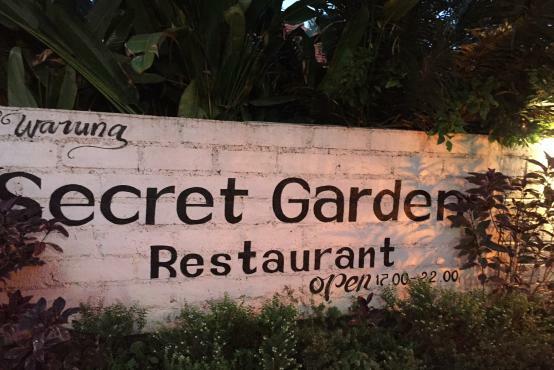 If you are looking for a great dining experience in North Bali, this is the place to be. Highly recommended. This restaurant opened in December 2017. Above, some of the signature dishes at restaurant 'Nyoman'. This small restaurant opened already 2 years ago but I only discovered it now. It really is a hidden gem, a secret garden. Don't confuse this restaurant with another one that has the same name but that is more in the mountain area and is overlooks the valley. This one is set in a garden of a Balinese house very close to the centre of Kalibukbuk , Lovina. A local family that worked in the hospitality business before but decided to open their own restaurant runs this place. 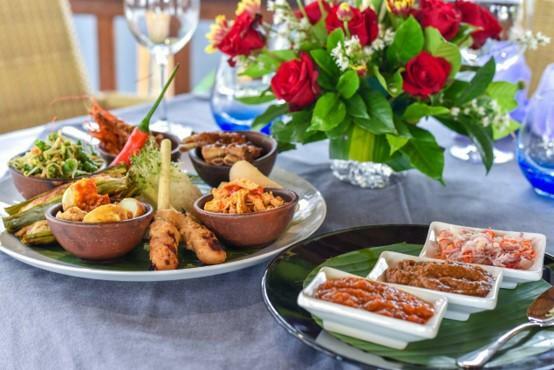 Dishes are mainly Balinese but surprisingly you will also find dishes such as ‘gulash soup’ and ‘Kaiserschmarn’ on the menu. 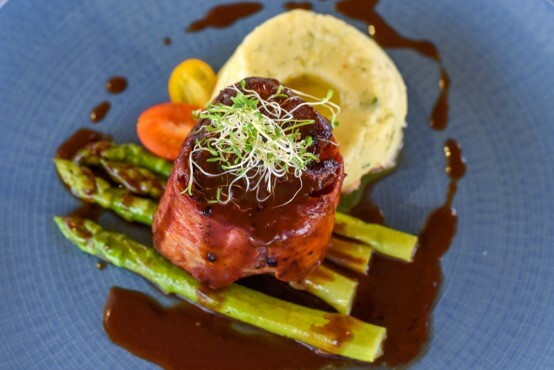 Very tasteful dishes, attentive service and nice environment in this restaurant. The restaurant is small and becomes more and more popular so it is recommended to make a reservation. I advise to ask for a table in the gazebo at the end of the garden. The tables near the bar are round tables with a pole in the middle. Above: view of the restaurant. As it is quite dark there at night, it is difficult to publish a good picture, but be reassured, there is a really nice and romantic atmosphere in this restaurant. 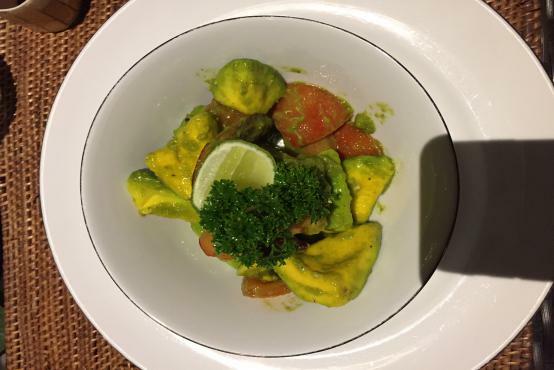 Above, one of the dishes that I recommend as a starter: avocado with schrimp. A light and delicous dish with very nice flavours. 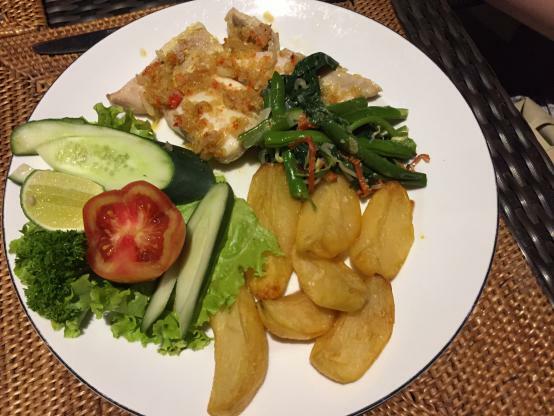 Mahi mahi fillet with fried potato and Balines herbs. I tried this dish and can recommend it. Fish fillet was very fresh and tasty.